It’s really a hard decision to narrow down your meals from an entire year to a list of the 10 best. But I love doing it – not so much for the actual list itself – but more for the chance to remember and reflect on the food, experiences, and people that you came across the entire year. I’d encourage you to think through some of your top meals of 2017 as well. In this blog post I’m going to share with you some of the best meals, travel food experiences, destinations, accommodation, and gear that I used in 2017. These are not in order of delicious, but just in order of time starting from the beginning of 2017 to the end. Jungle food, as it’s known in Thai, is a genre of Thai cuisine that usually includes lots of herbs and wild vegetables, game meats, and it’s typically very spicy. Loong Riang & Pamalee (ร้านลุงเรียง & ป้ามาลี) is a Thai jungle food restaurant in Chonburi that serves some of the best food I’ve had in Thailand. For me, Aling Sosing’s Carinderia is some of the top Filipino street food you can eat in Manila. You choose from an assortment of different prepared stews, and you don’t want to miss their grilled pork belly. On a spur of the moment trip, thanks to The Hungry Tourist, we flew down to Phuket and specifically to the luxurious Sri Panwa resort to participate in an A5 Kobe beef and top end sushi popup with Wagyu Mafia and sushi chef Hiro Sato. The back to back meals were some of the most high quality food I’ve ever tasted. Eating in Jerusalem was one of the most fascinating experiences of the year, and that’s because of the food and amazing people we met. Along with Rafram and David from the Hungry Tourist, we went to a small hole in the wall family run kebab shop where the owner made kebabs and hummus from scratch. It was about an hour drive from Chania town, but every curvy turn was worth the effort to make it to a restaurant called Ντουνιάς. Here the owner cooks traditional Cretan food the traditional way. His passion, love and care, and his farm to table approach is what made his food so good. Mandi is originally Yemeni dish of rice topped with meat that’s traditionally cooked in an underground oven until it’s fall apart tender. When I was in Dubai, along with my friend Peyman, we went to Al Marhabani Restaurant, and the lamb slid off the bone. I’m going to say something big… ayam taliwang is the best grilled chicken in the world. Well, that is so far for me. Ayam taliwang is a style of spicy grilled chicken originating from the island of Lombok in Indonesia. Eating ayam taliwang is a life-changing grilled chicken experience. Yakiniku is the Japanese style of grilled meat and at Nakahara they do about as good as possible. On the best of Tokyo food tour with The Hungry Tourist, we had an outstanding meal here, finishing off with a wagyu cutlet sandwich. Jay Fai is a Thai street food restaurant in Bangkok that I’ve wanted to go for years, but somehow it never worked out. Finally Ying and I went, and it was just a few weeks before she won a Michelin Star – the first and only Thai street food restaurant to achieve it. Her food is expensive, but the quality and portion size is mind blowing. Final main trip of 2017 was to Yunnan province, China. 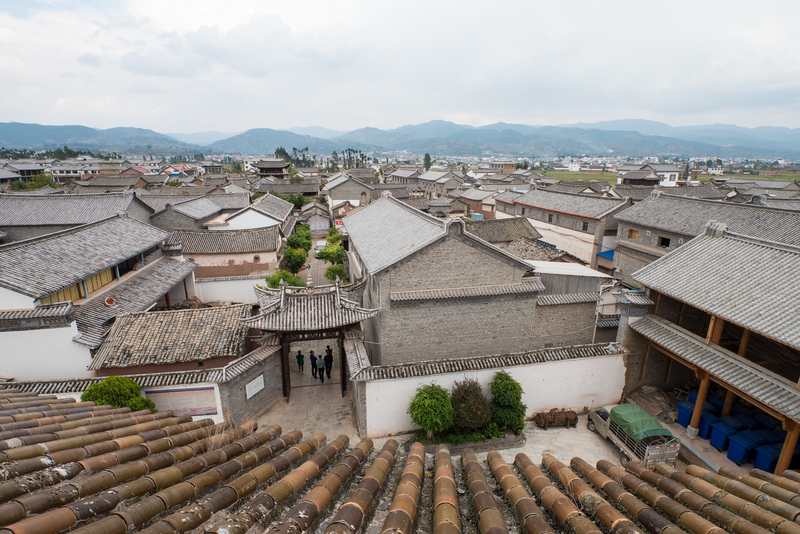 The food was outstanding, and Yunnan is known for its diversity of ethnic groups. The best meal I ate during that trip was an ethnic Bai Chinese feast, that included egg plant salad, raw pork, and an incredible one of a kind pine needle salad. 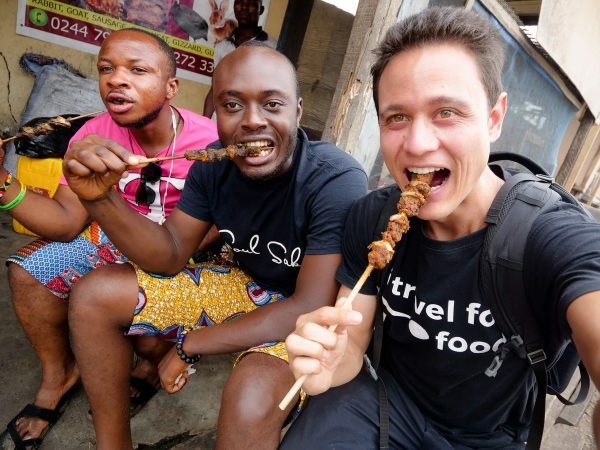 These are travel experiences, but yes, you’ll notice that my top travel experiences also have to do with food… that’s probably because most of what we do revolves around eating of course! 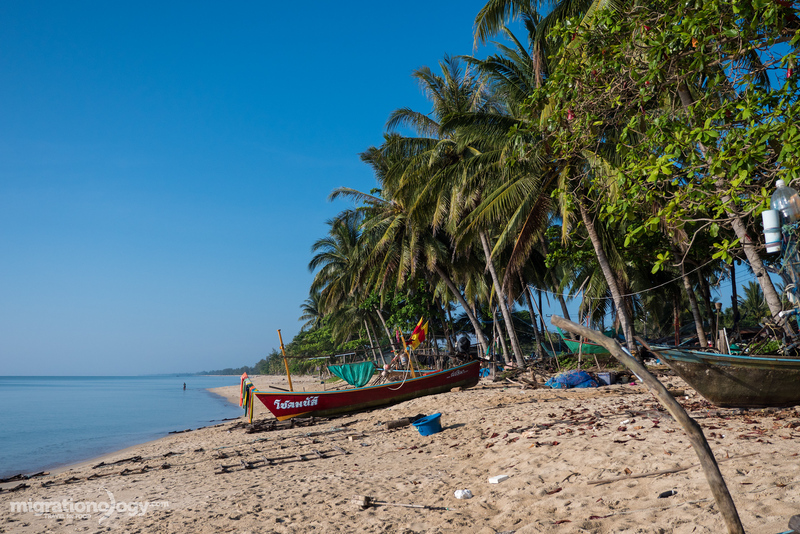 During our trip to Phnom Penh, Cambodia, one day we took a day trip to Kep, a city on the coast known for its seafood, especially crab. The market is spectacular – you arrive to the smell of roasting seafood and fish, and all along the oceanfront there are baskets of live crabs that you rummage through and purchase. Once you have crabs, you can hire someone right at the market to cook them right there. When in Bali, Indonesia, through a series of contacts I was able to meet up with Andre. He invited us to a family gathering at a Royal Balinese complex where I had the honor to watch an impressive Balinese local feast being prepared the traditional way. After the food was prepared, the chef (who was one of the most skilled chefs I’ve seen), served the food the Royal Balinese way. It’s a memory I’ll never forget. Again on the best of Tokyo food tour with The Hungry Tourist, one of the highlights for me was having a chance to tour the legendary Tsukiji fish market auction and get a first hand view of the best tuna and seafood in the world. After visiting the market, we had a chance to eat a high-end sushi meal, which was absolutely life-changing. 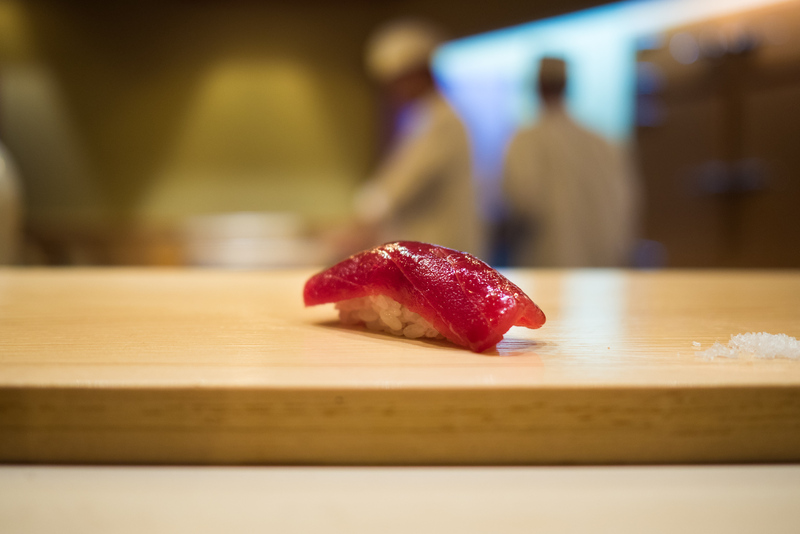 The art, care, and craft of making sushi from start to finish will blow you away. One of the final trips my family and I took in 2017 was a quick impromptu trip to Yunnan, China. With the help of Frank and Luxi from Zouba Tours, we were able to visit the small Muslim village of Donglianhua (东莲花) Village. There’s a local family who owns a gorgeous Chinese courtyard, and the owner is one of the greatest cooks ever. She prepared Yunnanese Muslim noodles, and a unique local beef and chili oil salad that is a dish worth traveling around the world to eat. Here are a few of the destinations that really stood out to me, for a combination of natural beauty, culture, and food. At the beginning of 2017, we took a road trip through Nakhon Si Thammarat, a province in Southern Thailand. Sichon and Khanom are lesser visited coastal areas, teeming with coconut trees, quiet beaches, fishing villages, and delicious Thai food. 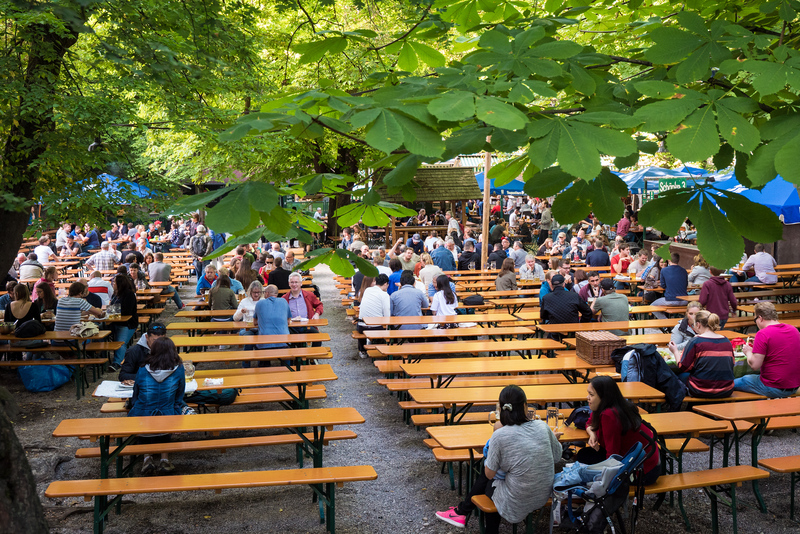 I visited Germany for the first time, and I was surprised how much I liked Munich – especially how organized the city is, and the beautiful public spaces, architecture and parks. Evening walks in the summer in Munich are spectacular. 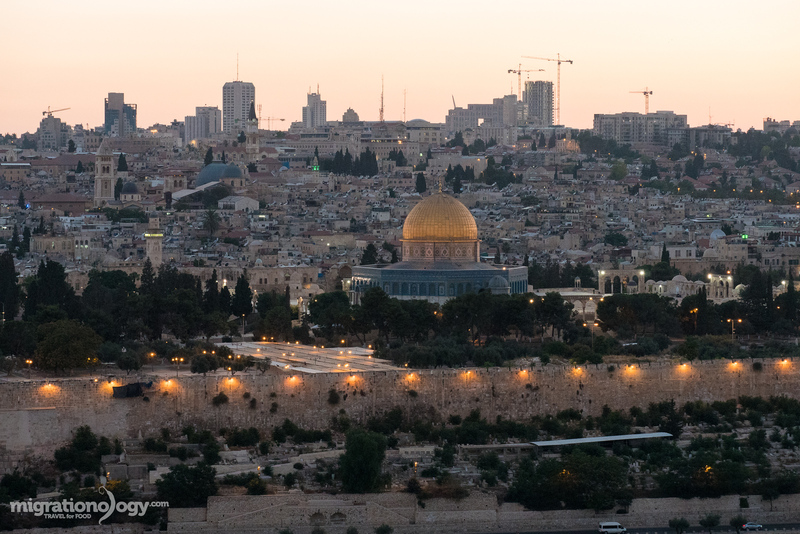 The city of Jerusalem is no doubt one of the most fascinating and historically important cities in the world. I was overwhelmed to finally have a chance to visit. Walking the streets of ancient Jerusalem, eating, and meeting locals, was something I will never forget. 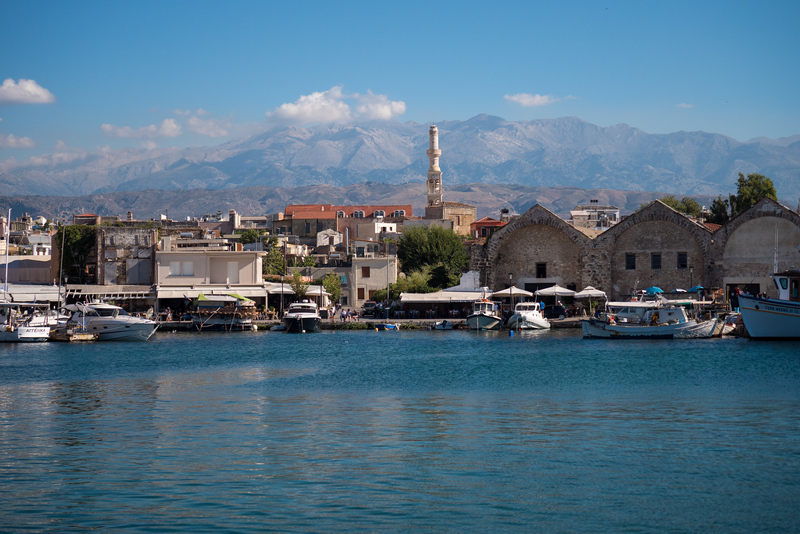 From Athens, we caught a flight to Crete, which is a huge island in the Mediterranean. The land, from the sea to the mountains, is gorgeous. I wish I would have had more time to explore the island, but the brief introduction amazed me. Lombok is the island in Indonesia next to Bali, but the culture and food is totally different. What I loved maybe most about Lombok is that their food is known for being spicy, and it is. The food is amazing! ANA – From Bangkok to Tokyo we caught a non-stop flight with ANA (All Nippon Airways). Service was excellent, space and design seemed better than most economy cabins I’ve been on, and the food was of Japanese quality. Before having a baby, my wife and I used Airbnb occasionally. But this year, traveling with a baby we started renting houses and apartments on Airbnb for almost every trip – the extra space is great, and I also really enjoy living in a local neighborhood when I travel. I’m not affiliated with Airbnb, but I use it frequently and recommend it. If you use this link to try it out, you’ll get $34 off your first booking. 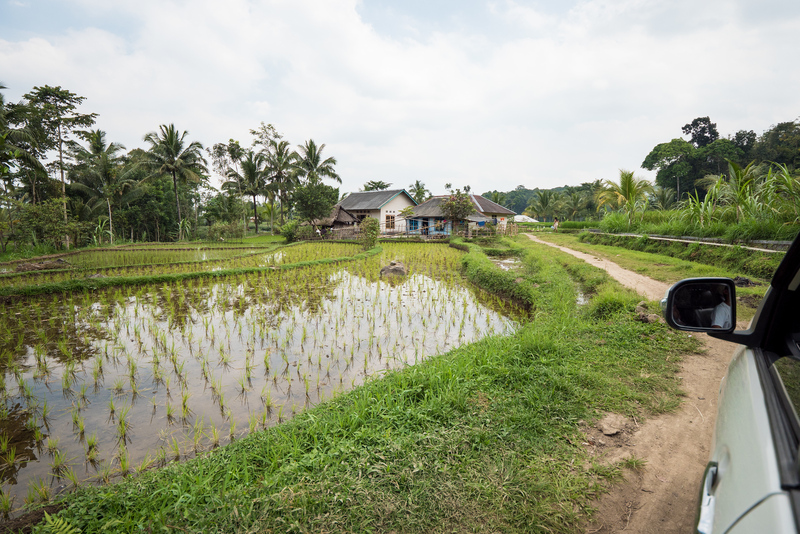 One of the most memorable places we stayed this year was at a rice paddy villa in Bali that I booked on Airbnb. It was open air, surrounded by rice paddies and lush greenery, with a private swimming pool. Only problem was that the internet was pretty bad. A ryokan is a Japanese inn, often with an onsen bathing facility. I had always wanted to experience this unique Japanese style of relaxing, with a combination of natural beauty and simplicity, hot springs, and delicious clean food. Ying and I took the train from Tokyo to Hakone where we stayed at Yoshiike Ryokan. I booked the ryokan on Booking.com, another website I use frequently to book accommodation when I travel. Lumix GH5 – I’ve been filming with a Panasonic Lumix camera for a few years now. But in 2017 the LUMIX GH5 was finally released, and I was excited for the upgrade. Apart from the auto-focus which can be a little slow, I think it’s one of the best vlogging cameras. I primarily use it with the Lumix Leica 8 – 18 mm. 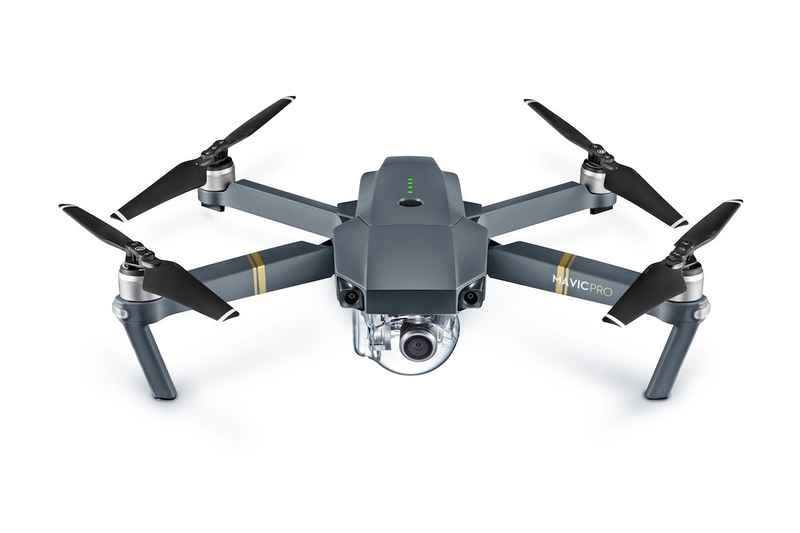 DJI Mavic Pro – For a long time I didn’t want to get into drones – I knew it would be so much of an extra hassle. 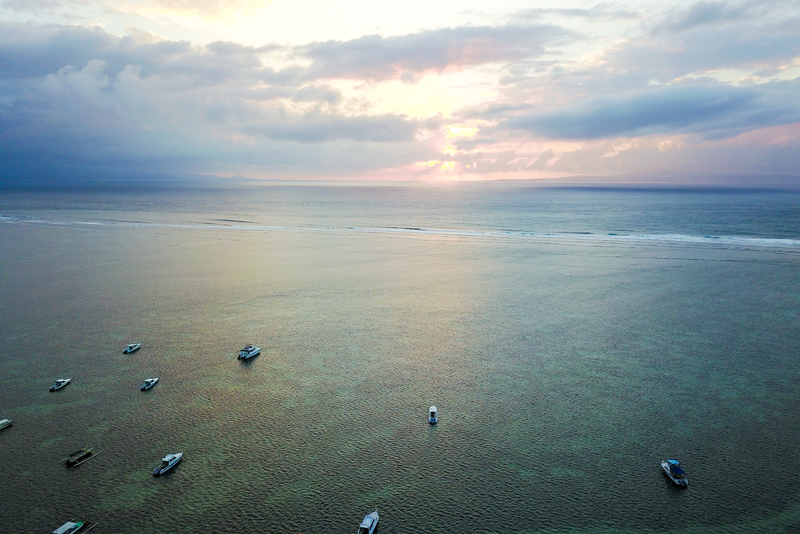 I finally got a DJI Mavic Pro right before visiting Bali. I have to tell you I was right – traveling and incorporating drone footage in a vlog is a hassle – however, it’s so cool and now I’m so addicted to flying it – I never knew it would be so fun! I don’t use it in all videos, but if it’s safe to fly and I have the time, I plan to include drone footage. Huawei P10 – When I needed a new phone this year I was enticed by the Huawei P10 for its Leica camera. I’ve really overall enjoyed the phone. You can take great photos and videos, and the price is right. One of the questions I get asked frequently is how do you deal with money when you travel and what banks do you use. Sorry this is probably most relevant to US citizens, but here are the bank cards I use. Charles Schwab – Rather than travel with USD cash, I typically draw money from a local ATM in each country I travel to. Charles Schwab is fantastic because you get re-reimbursed each month for international ATM withdrawal fees. If you’re an American citizen it’s one of the best accounts to have if you travel. 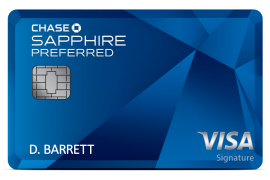 Chase Sapphire Preferred – I’ve been pretty happy with this Chase travel credit card. There’s a pretty large points bonus when you sign up and reach the first goal (I signed up right as I needed to buy a bunch of flights to ensure it was worth it), and there’s no foreign transaction fees. This is the only credit card I have and I’ve been happy with it. Transferwise – Occasionally when I’ve needed to send money, like for instance from a US bank account to a foreign bank account, I’ve used Transferwise. Overall, pretty happy with their service and the fees are minimal compared to other similar services. That wraps up this Best of 2017 year in review! What was your favorite meal of 2017? I’m extremely grateful for another year of delicious food, experiences, and for the huge privilege it is to be able to eat and share experiences with you. Finally, I want to take this opportunity to wish you a Happy New Year, and thank you very much for your incredible support! NOTE: Some of the links in this blog post are affiliate links. But I’ve only recommended things that I personally use and recommend. 273 comments. I'd love to hear from you! Any way I can get the recipe for the halal beef and daikon salad you ate in the Muslim village? Thought I’d just send a thank you for all the work you do (we are thankful for you!). As a family, we watch your videos and read your articles and they’re always inspiring. You travel for us! We don’t have the same opportunities but glad that we can still enjoy (albeit vicariously!) your food and travel. We have family in different parts of the world–so your travel really makes us feel we are building a stronger global community. You just make our day a little brighter! I know you won’t take it against us when we say God bless you and all your love ones! Praying for your safe and successful journeys wherever they may be. I just googled the top travel blogs and the top travel blogs of 2018. You were number one on the second search. I won’t mention the #1 blog on the first search but there were so many ads I could not focus on the reading. Keep up the good work. This was an enjoyable read. Your videos are always amazing and interesting!I love to watch over and over again with my wife.Again thanks for everything. Waouh! Been to Bali so many times, and never heard of royal Balinese food! You are a luck guy! Thanks for the tip…. 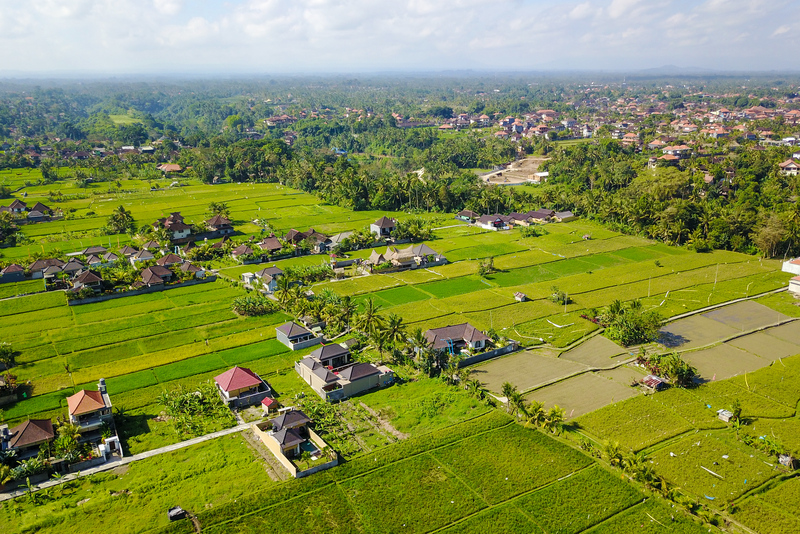 You have captured amazing drone photos, especially flying drone on bali. Great post, Mark – REALLY curious about how the drone works into building content, but also any comment as to how hard they are to get familiar with and the rules around using them? I know in some areas you have to have governmental airspace approval. Hello Mark! I’m from Philippines but I’m not familiar with that area. You gave me an idea. Thanks for entertaining us. My boyfriend told me about your vlog. Hope to see more videos. GOD bless! Started watching you on YouTube month or so ago. My wife Mary Ann wanted to know if there are any recipes to some of the foods you eat? Thanks for sharing these tips, so that we can have the best tour. Glad to read this post and really very useful it is. Hi Mark, My wife & I are recent converts to your You Tube channel. We discovered your channel from the Athens trip as we are going to Rhodes, Greece later in the year. We decided to have a look for some Greek food videos as not many of the vlogs show you the food. In the week since we started watching that first vlog… we are hooked! We love your channel and it is now a part of our relax routine at the end of the day. We come home, make ourselves something to eat, a cup of tea and sit down to watch one of your videos together. We can’t get enough! We love your descriptions, your ideals, your love of real community food and we judge your conviction of a good meal by what we call “Mark’s head tilt!” If it’s a nice meal, you tilt slightly to the right but if it is superb, your head nearly touches your shoulders & you roll your eyes! We can almost taste the food there with you! Thank you for becoming part of our lives & we hope you continue to make such amazing videos for many years to come. Hi Pierre & Marie, thank you very much very nice comments and words of encouragement. Really appreciate you watching our videos, and glad you’ll be traveling more in Greece later this year. Hope you’re both doing well, thank again! it seems your favourite 10 dishes are only from the middle eastern and south eastern countries.Not the countries around the world.Thai, indoneasian dishes always go hand in hand, flaovours are the same.Sad to hear none are from india or Sri lanka.You have missed to add at least a dish form one of those countries. You were unable to recognize such rich flavours and wonderful dishes from those countries.How sad.I think your taste buds are getting tired now. Hey Leena, thank you very much, really appreciate your support. It just all depends on where I traveled in 2017 that makes up this list. I didn’t visit India or Sri Lanka in 2017. Thanks! Thai and Indonesian food taste the same?Nah. Even inside Indonesia, every one of its 300+ ethnics maintain its own culinary tradition. There are no “Indonesian food”, there are Sundanese food, Javanese food, Batak food, even as Mark have said, the neighboring Bali and Lombok islands differ in cuisine. While Thai favors sourness. I am not saying Indian cuisine is bad or such, I love them and eat them weekly at a favorite restaurant. But I just can’t stand someone mocking other’s cuisine just because they tastes different. In case you don’t know, Indonesian Minang’s cuisine is one of the most renowned cuisine in Indonesia, and they are heavily influenced by South Indian cuisine. They love to eat curry-based dish. Compared to Thailand, Indonesia acquired much more Indian influence in food. 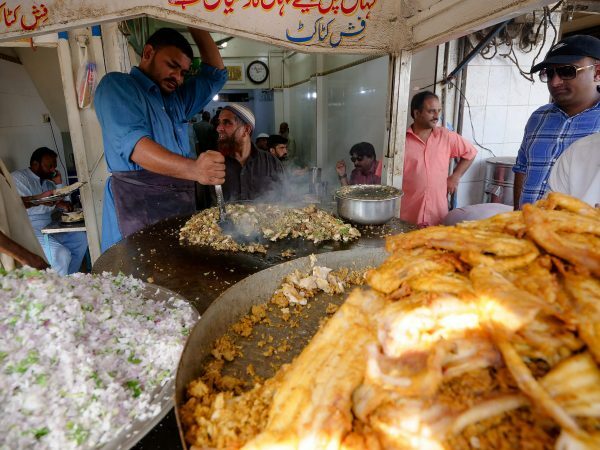 If you’re a food lover like I am, these list has got to be the places to go when visiting any of the places mentioned here. All the food just looks so amazingly delicious. One of the best food blog or I’d say travel blog I’ve seen. We love watching your videos and travelling through your experiences! In fact, we binge watch so much sometimes that we aren’t sure which videos we have seen. Is it possible to date them or number them (such as Mexico City Day 1)? In Thailand, I would love to see you interview different university students and teach us all a little bit about university life in Thailand. There are always cheap, good eats near universities that those students can recommend! Also, we would love to see you visit the different regions of Colombia someday. There are so many distinct regions in this country. Keep up the good work. We will keep watching! I like to see you travel to South America, especially Colombia. There is so many different terrains and regions. The food, such as natural fruits and vegetables, is different from a lot of other parts of the world. Definitely, a place to investigate! nc one mark!!! keeping traveling and enjoyed you blogging about food. Really i would like to go to dubai for tasting food after watching the video. it ‘s tasty and fills water in my mouth. Wow! Aling Sosings made the list! rightly so because it is really one of the most popular “carinderia” in Manila. I am not sure if you have visited Coron in the Philippines, might be another place to visit in your next food travel? I am a fan of your videos and have been watching them using my Android box so it is hooked up to the television so everybody at home watches your video when I watch them, I particularly like your video series in Bhutan and also your video in your trip to Oaxaca. Please keep on making awesome videos, more power to you and your family! Grilled food from Japan is very delicious. I have tried few of them in restaurants. I love the facts that you shared all the gears you used when traveling. I agree, now a days a drone camera is always important to capture the view from the top. You have really great pictures and which really attracts me to follow migrationology daily. I’m going through all the blog post and love your writing style. Definitely many things to learn from your blog. I like the way you publish your blog posts. There are high resolution photos to enjoy, a lot of information that inspires. Plus delicious food. A perfect blog page for anybody who loves travelling and eating! I love your round up posts. And I really want Ayam taliwang in Lombok! After examine just a few of the blog posts in your web site now, and I truly like your means of blogging. I bookmarked it to my bookmark website checklist and will likely be checking back soon. What a fantastic post and video you shared with us. Great to see you achieving your success the way you like. Keep Growing and stay blessed! Hi Mark, Awesome videos from Mexico! Every single one was amazing! I hae been to Thailand once and am planning on going later this year. My question is have you ever done a video on Krabi? I was there on my first trip about 5 years ago. Love the people and the food. All the little islands were amazing to photograph. Thank you for always keeping me excited about “The Next Video” You’re awesome! Thank you for your article you make me hungry, I would recommend Italy, France, India, and Thailand, but you can usually find good food in almost every country. Nice post with amazing collection of Best Food, Food is important part when you travel & best & favorite food play a important role while traveling. Oh my goodness! my mouth was watering, you have inspired me to go back to Bali – I missed so much great food when I went twenty years ago, although at twenty I was much less adventurous than I am now. Incredible post, I just watched your video on Bangkok to Tokyo, again fantastic. The photography and video is just perfect and makes me want to come back. Please let me know if I can send you a free travel map, it would be my pleasure. Awesome post! Love your pictures as always – makes me hungry already, haha. Definitely going to Travelzoo and booking a trip to get some awesome food! I’m overwhelm through your eye, your taste bud ,the whole experiences. Thank again and again as usual. Hi to Ying and Mica. I think I will have to pay Aling Sosing’s a visit soon. Nice, extensive article. Happy New Year Mark. An ardent follower of your blog. Amazing videos in youtube. Keep them coming. Mark, During our travels in 2017, my main goal was to eat a few times like the Great One, Mark Weins. We traveled to Vietnam, with a side trip (tour trip) to Cambodia. We ate some great food and saw some great sites! In Vietnam, we went down the Mekong River on a tour, went to DaNang and Hoi An on a tour. While in Saigon, I finally got a Banh Mi sandwich that was simply GREAT. We can’t compare with the Great One Mark, but we enjoyed our travels. Thanks for inspiration! This year I found your youtube vlogs – an amazing source of information and incredible food experience!Love your videos so so much, Mark! Keep it up! Hi Mark, Happy new year to you and your family. Again in the year 2017 also, I saw all of your videos and I thoroughly enjoyed them. Thank you very much for sharing them. I am one of your thousands of viewers in the first hour after you upload the video. I can never find your video with some hundreds of views. Your videos just go viral instantly. I wish you all the best for the future travels and videos and looking forward to more fun. Happy Migrationology! I love ur videos and think it’s amazing what uve achieved? Have u ever considered going to Mauritius as this is where my better half is from? I myself am from Scotland? Thank you for sharing the information and happy new year! Amazing videos of foods. Just wondering how you can consume such an amount of food and looking at you we often wonder where all the calories and carbohydrates and fats go. You never seem to put on an ounce of weight! You’re so lovable . Thanks for sharing great affordable reviews.God bless you. You have garnered quite an experience for this. Appreciate it really. Thanks a lot and wish U happy new year. Like to see your 2017 videos. Happy New Year to you and your family, Mark. Thank you for keeping us entertained throughout the year with food and travel. Your videos make me feel like I am going places just sitting in front of the TV; only smell, touch and taste missing! Keep up the good work & wish you all the best in 2018. Happy New Year. Great Job. Keep going. Stay Blessed. Happ New Year, thanks for your hard work, 2018 is going to be better than ever. I want to order Lumix from Amazon, how much tax and shipping to Thailand? and how to order via your website? Happy New Year Mark and Ying! I enjoy all the efforts you guys put out there. Cheers! Thank you for traveling the world to eat and to share with us. It’s like I am right there with the three of you, and I can literally taste each bite of food too. Happy new year and may God continue to bless you and your family as you all travel and eat again in this new year! Hi Mark! Happy new year to you and your family ! Thank you for your awesome videos. I really enjoy all the videos. Hi Mark, thank you so much for sharing the videos, I really enjoyed it. I wish you and your family a Happy New Year 2018! Hi, Mark. Congratulations on the programs you did. They are sources of inspiration for me. Sweet and incredible in food choices and places. I wish a year of 2018 blessed for you, your wife son and mother. Great work on foods and travel info Mark !!! Love your blogs and videos. Best wishes to you & your family for the new year 2018 ! H i Mark, I love everything you did in 2017 and will be great in 2018 you have done such fantastic foods blogs and video. Thank you so much. You are my no. 1 foods and travel informations center for me. Happy New Year to you and your family. Thanks again. Hi Mark! You’ve had a blessed 2017, I see! I looked at all your vlogs and when you put them together, I remembered every one. Three of the ones I thought were super de-lish were: Tsukiji auction and sushi in Tokyo, Kobe Beef & Sushi when you went to Phuket. Mandi in Dubai, Nakahara Yakiniku in Tokyo Japan. I’m a big fan of good quality of fish and beef, but in all honesty, everywhere you went on this blog was fantastic. When you stayed at Japanese Ryokan in Hakone, they really took care of you and Ying. Very good blog, Mark! Thanks for sharing! Wishing you & yours a very happy prosperous & blessed New Year! As always, thank you for a wonderful year in food and travel Mark. This year was not quite as rough as others I have had, but still a struggle. Your videos, instagrams and blogs make the year go so much better. Thank you for uplifting and positive experiences. Loved your blogs and videos….. am a foodie myself and enjoyed your trips n food adventure. Well done Mark !!!!! You have my full rating!!!! I really enjoyed your travel and eating experiences, you really describe everything in great detail and love your personality, very happy, with your family, excellent choice of airlines, hotels, destinations, restaurants, and foods you choose to share with us. I enjoyed so much that I want to travel with my wife,to many destinations. I will keep watching your videos, reading your blogs and everything else.. Any plans to travel to Australia, Lebanon, Russia, and south Africa? By the way, I do love spicy food too, especially hot and green peppers, they really enhance flavor..
Mark, you have been a treasure to share your experiences and family! It is with much delight to continue in 2018 the journey! Thanks for giving me the confidence to try everything everywhere in S. E asia. I’m back to Thailand again this month and I’ll try the Michelin star restaurant in Bangkok. Thanks for the recipe from your mum in law for the rib curry, it blows ones’ mind. Hi Mark, another year of great travel and food from you! Thanks for sharing! Have always enjoyed your blog! Please keep up the good work. Best wishes in the New Year to Ying, Micah and yourself….and the loved ones! God bless! can u tell me how to manage all this thing. do you book apartment and eat food in hotel. before you go to other country. do u hire guide or manage all this your self.? Hello Mark, I wish Happy New Year to you and your beautiful family. Happy New Year Mark, Ying, and Micah! Thank you for making the videos that you do. You are so good at it and Ying is equially amazing supporting you all the time. My husband and I always watch your vids to the point that I am so sure we will panic and ask for a picture with you if we suddenly bump into you somewhere haha. Sorry but it would be so hard to pass up, i hope that’s okay =P Til then! Happy New Year Mark!! !…Wishing You and your family as well…Love your blogs and it’s a wealth of information on different cuisines!!! Hey Mark, it is always fun & exciting to read your posts & sharings. I truly enjoyed it! Happy New Year to you & family. wooww!!!! it’s really great and complete information!! I find it’s really useful as well!! thank you so much for every information noted, really appreciated!! great job!! Thank you very much Pricillia, Happy New Year! Wishing you and the family A Very Happy and Prosperous New Year. Your videos are just awesome. Really looking forward to seeing more. I especially like your facial expression after you take the first bite. Not being envious the least.???????? Thank you very much Geonge, Happy New Year! Mark brother.. happy new year to you and you’re family. Me and my wife have been married for 20 year in May 2017, we had a wonderful trip to Langkawi after we so the seven videos of the island.. once again, happy new year and keep up the good work. Hey Redo, congratulations, and that sounds wonderful. Thank you! Thanks Michelle, Happy New Year! ….. to continue…..have you been in South korea? Happy new year Mark and family too! I really love your job, how enjoyable it is, travelling and lesrning the culture and gastronomy of different countries…by the way you seems to be in veyr good shape with all those food….my dad asked me how come you keep yurself so skinny…. Thank you May, Happy New Year! Happy New Year Mark and to your family. T’was also an amazing experience just by watching you eat and travel, felt like I’ve been there too but would really love to try the foods you had. Continue your vlogs for they are amazing and continue eating (????) and travelling, because you are great to watch. God bless and have a great year. Thank you very much Eunice, Happy New Year! wow Mark Just first want to say u presentation videos is really very good and entertaining and very inspiring. U kinda create this desire to want to travel and go and experience these foods…. the grilled chicken I was in Mozambique ones and for me there Portuguese grilled peri peri chicken is the best in the world but I guess u have to visit more to be able to have a chance to differentiate mmmm so I have to visit Indonesia to be able to tast the difference yeah… well done and thank you…. Thank you very much Coert. And that sounds delicious! Mark you are awesome. I really enjoy your videos. Keep up the good work in 2018. Hello to Ying and Micah. Happy New Year to you and your sweet family Mark! My husband and I enjoy watching your travels. hi mark, i m dona from italy. your blog is one of my favorite, infact the best ever! there’ s all in it..food, culture, smell, taste, flavor, people,music ( i can hear it!) nature..all that i love. i’m discovering indonesia thank to your videos. sharing local food with local people is definitely the best way of traveling. and deciding what we eat and how we work the land is the only way to leave in peace and in a healthy world. please just don ‘ t quite! Thank you for your amazing support, really appreciate it. Happy New Year! For me the best video is the one of the Tsukiji Market! Keep up the great work for 2018! So many wonderful choices that one or two to name would not do your variety of dishes justice. So, so, many outstanding and delicious looking food and destinations. Thank you. We have great fun watching your videos. Enjoy Yings smile and how much your son grows.. I have watched so many of your video that I can sense your reaction to food before you do it. Have fun and a great year and be safe!! Happy New Year! 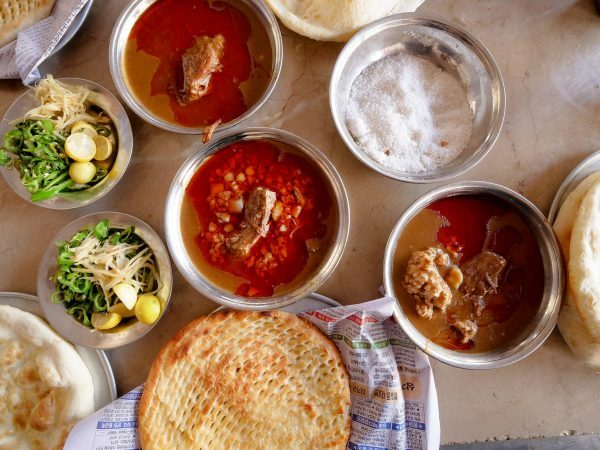 Show us the secret gems – little unknown restaurants of the world that offer true food. That’s what I like. Kep, Kambodia, a city on the coast known for its seafood, was amazing. These crabs – truly fresh from the sea directly into the pot! Seafood in Asia often is produced with antibiotics in a cesspit. My wife and I are both surprised and enthusiastic about receiving your email and video. Really you are the best blogger I have ever seen .. I think because you do it with heart. Your videos really inspire us to take a culinary journey to places like the ones you show in your videos. We hope you stay healthy and more successful, our greetings to you, Ying and Micah. Happy New Year and all the best wishes to you and your family! Thanks for sharing your videos and recipes in your blog. If any chance please share information what do you use software and programms to edit your videos and photoes, just want to start shooting pics and videos for our Asian restaurant as well. Thanks a lot! Happy new year 2018 to you and your family Mark. May the new year brings great happiness and good health so that you can continue with your always excellent vlog. I really enjoy watching each and every one of your travel vlog especially to Indonesia and Yunnan China. Keep it up and God Bless. Thanks, Mark, for the mouthwatering roundup! You got me psyched to make more travel happen in 2018. Thanks again and a healthy, happy new year to you and your family! Always been a person of very few ídols. I can count online my both hands the number of people in the world i feel connected to. You’ve one of them. You are obviously doing something right. Keep up doing your thing. Have a wonderful 2018 along with your wife and baby. Guys like you have more friends than you can imagine, even if you never get to meet them. Take care and never stop eating. Big thank you Luis, that means a lot to me. Thank you for your amazing support and Happy New Year! Thank you Oyku. Will expand in 2018! Hi Mark also I wish you a very special new 2018 year. so that this year would be full of even more interesting culinary and tourist experiences. God bless U and your family. Greetings from Poland. Happy New Year Mark. Great blog to sum up 2017! Looking forward to more from you in 2018.
very good vloggs made in 2017 ,,, probably even better vloggs in 2018 ,,, the best i fint our from bkk itself .. but there are so many places more to explore in Thailand, for good street food..hopping you do more videos in Thailand …. the best for you and your family for 2018. Season Greetings from Sweden & a very HAPPY NEW prosperous YEAR to you and your family! Hello Mark, happy new year i wish you and your familly an wonderfull 2018. Please conyinue to share your travels, your fantastic meals. Thank you very much Jean, Happy New Year! Hey Andrea, great to hear from you, thank you very much, and glad you enjoyed your visit to Bangkok. Happy New Year! hello Mark i wish a good 2018 and Thank you for the Great Travelviedeos,gruss Peter from Germany. Happy new year mark and to your family I have loved watching your videos which has got cooking more Thai food ???? Thanks again for a mouth watering blog of delicious new foods to try and new places to visit. Yunnan and Sichon in particular. ???? A great from you for us..!! Keep this up..Best of Luck!!!! Mark, I enjoyed following and watching your food videos. You are a remarkable and outstanding food writer. I love your street food recommendations of various countries you and Yong traveled. Keep up your great works. Happy & Prosperous 2018 New Year To Mark & Ying Family! Thank you Chris, Happy New Year! Dear Mark Wiens. You are a really smart guy. I’m seldom fan of anyone, and i”m 70 years old, but I must admit you found the formula and you made it. Yours video is enticing, well registered, the foods all look good and you are charming. You made a good team with your adoring wife. You made it boy. Huge thank you Luna, really appreciate your amazing support! Happy New Year to you, Ying and Micah! My husband and I watch your videos all the time and we are enjoying watching Micah grow up! Keep being the wonderful person you are, say hello to Ying and kiss Micah for us! Hi William & Sandra, thank you very much, hope you’re both doing well! HAPPY NEW YEAR 2018 MARK.. I HOPE THIS YEAR 2018 U BRING MORE OF THE EXCITING FOOD BLOGS FROM AROUND THE SACRED REGIONS .i.e UNIQUE IN CULTURE AND UNIQUE IN TASTING…AND WISH U CONTINUE THE GOOD WORK THROUGH FOOD BLOGGING. You have to visit Morocco next time – Kénitra!!???? Your intro to the locations and the desription and comments on the food & the pictures presentations are really superb. Thanks for your work. Well done and hope to see more from you for 2018. Hi Mark! Happy new year. I am looking forward to exciting videos just watching this year. Now these day which country you travel. I am embarking on a path that you have already traveled, i.e. creating blog, videos, and website that people can use to learn about the places I have traveled. My focus is more on culture, history, customs and some on food. I have a long way to go and just looking at your many many many videos you are just awesome. How do you have time to edit, download, and upload all those videos? And how do you balance your time working and taking care of young baby at the same time time your are videotaping and making comments on your own camera? When will we ever hear your wife speak and make comments on your videos? Many people around the world know you already. I am just starting and I am full of envy and awe of all the things you have done. How can I ever catch up with you. As for videotaping I notice you have such a steady hand and keep yourself always in focus which is what makes your videos so interesting. You have the look, the smile, and the expression after you have tasted food that no one I mean no one can ever emulate. It is very unique because it defines you as an artist, educator, blogger, and a connoisseur of international food. You and the “Food Ranger” are way up there in terms of trying all the food in the world. Have you ever gotten sick from eating all kinds of international food? I know that certain food when cooked with certain spices and milk products do not agree with my stomach and I have to be honest not all international food agree with my stomach even though I try. So I cannot always keep a happy smile on my face when i video tape myself eating a food that does not agree with me. Has this ever occurred to you or do all food agree with you? As for writing, editing, downloading and uploading, I have to find the balance of doing all these to working and taking care of my family. Just how do you do all these videos with a baby to take care of? That’s why I am always impressed at your work and seeing your first born in your videos. I hope some day I will have the same success as you. I am still beginning and learning the ropes of the trade. Thanks for educating me and informing me of all the food you have eaten and how you video tape with your equipment. I wish you continuous success in your videotaping and blogging. I travelled around South East Asia for 9 months in 1997. I have fond memories of the food. Happy New Year and congratulations on a successful 2017 of food, food and more food. My family and I have been big fans of your food & travel adventures and have really enjoyed all your vlogs…wishing you and your family the best for 2018. Thank you Mark, love your blog and videos (esp your happy eating face!). Used your lisbon and Hong Kong guides in 2017 and they were spot on ( I hate to tell you but the restaurant you couldn’t get into in Lisbon was the highlight,) I’m sure I’ll utilise your insights again in 2018, just not sure where yet! Hi Mark! I love all your videos. They are all amazing! More power! Happy New Year and many blessings in the year to come. Thank you Joy, Happy New Year! HI MARK HAPPY NEW YEAR TO U AND FAMILY LOVE EACH AND EVERY VIDEO U MAKE I JUST LOVE IT EVERY PLACE U VISIT ITS AMAZING LOVE THE WAY U EXPLAIN EVERYTHING CLEARLY AMAZING LOVE U GUYS BABY MICHA IS VERY CUTE. Thank you very much Kavita. Happy New Near! Excellent review for 2017 food culture. Probably some more insights into gender and age about food choices culture will portray an unusual background of the country. Best wishes to You and Your Family for 2018! Hey Silvato, thank you for your recommendations, Happy New Year! And we love you for doing it! Happy New Year to you and Ying and the wee one! 2018/2561 has got to be brilliant! Thank you Bo, Happy New Year! What a great year you’ve had, Mark! I have enjoyed every journey, you , Ying and Micah have taken. Looking forward to another great year! Happy New Year! Thank you Laura, Happy New Year! Hi Mark! We just love your videos so much! Your pictures and video skills are amazing! We also just love your little family. So sweet. Maybe one day we will run into you somewhere in the world! Much love! Happy New Year! Thank you very much MaryAnn, Happy New Year to you and your family as well! Hi Mark, I always enjoy your videos. I feel like been traveling around the world with you, thank you for sharing the experiences. Wish you and your family a Happy and Healthy New Year, a New Year with more challenges and success. Looking forward for more amazing next videos. Thank you very much Evelyn, Happy New Year! Hi Mark! Always look forward to your posts and I believe your food and travel blog to be one of the best. Thanks so much and Happy New Year to you and your family. Thank you Diana, really appreciate it. Happy New Year! Happy New Year. Thank you for all you do. I am too poor to travel so you are my view into the world of food. Leaving a comment as is instructed by email. God bless you! Thank you Jae, appreciate your support. Happy New Year! Mark have been a fan for some time now. Love watching you travel the world and shareing your food experiences with the rest of us! Looking for new experiences in 2018, Happy New Year. Thank you for watching Dawin. Happy new year! Hi Mark.. Thanks again for sharing your 2017 year of travel, accommodation and food experiences with us all. Your a great guy with a wonderful family who sincerely enjoys what you do in life. I wish you, Ying and Micah good health, success, and happiness in 2018. Cheers mate.???? from Trevor Newey. Thank you for your kindness and support Trevor, Happy New Year! Joyful and food travel experience in 2018 love watching you guys. Enjoy ???? Thank you Michele, Happy New Year! Hey Keith, awesome to hear that, thank you very much. Enjoy the food and Happy New Year! Keep up the great work. Going to take your Yaowarat suggestions in March 2018! Happy New Year to you, Ying, Micha, and loved ones. Happy New Year Mar and family! Ever holiday my fiancee and I plan our next holiday and we are going to Bangkok. I NEVER would have even thought to consider it were it not for your pioneering blog. That crab omelet will be mine! We thoroughly enjoyed our visit to the Ryokan as well. Thank you! Awesome to hear that, thank you Kala. Happy New Year! Again thank you amazing vlog and we are exiting to wait your 2018 series. I shared you best 10 to my sosmed so proud as you chooce Bali as one of fav destination. Thank you very much Dewi. Happy New Year! Wish you “Happy New Year” to u n ur family n all. Hope, 2018 would be another great, feast around the world.is.waiting for us..to explore …Thank you for your effort and, wish to continue the bite leap..for ever. Thank you Rajavinoba. Happy New Year! Happy New Year! Enjoyed all your vids and recommendations. Truly phenomenal! Look forward to another year of good food! Thank you very much. Happy New Year LY! Hi Mark, Happy Mew Year to you and Family. Don’t stop but keeps going Mark. ???????? Huge thank you Fred, really appreciate your support. Happy New Year! What an amazing year of travel and food you’ve had. Very envious of your lifestyle, but you’ve worked hard and deserve much success. We’ve thoroughly enjoyed your VLOGs, and have earmarked several eateries in Bangkok to visit when we are there in 2 weeks time. Have a successful, safe, healthy and prosperous 2018. Love your shows,Happy New to you and yours. Hi Mark, Thank you so much for the most amazing videos, such remarkable journeys I feel I have been there with you Ying and Micah all the way. Blessings to you and family and look forward to more delights. ???? Mark, you are definitely the world best maestro of travel and culinary adventures. Thanks for having made such wonderful and entertaining work. Mark, “Happy New Year” to you and your family. I trully enjoy every minute of your presentations of various kind of food from all the countries you have visited. I greatly appreciate your time and effort to produce such a varied topics, especially food. Though I may not be able to taste and enjoy the delicious food, I will always look forward to your next videos. May 2018 brings you to more exotic places with the mouth-watering food. Thanks Mark for an incredible travel and culinary adventure with you, Ying and Micah! Happy New Year to all of you and looking forward to another year of amazing food and travel with you! Hi Mark!!!! On our 2nd trip to Thailand, we included Sichon from your recommendation !!! It was wonderful !! Our host Anna, from Eckman Resort, took us to the fishing village then the local market!!! It was 3 days of wonderful people and amazing food!!! In 2018, we will try Northern Vietnam!!! I might just have to divert our trip home to a couple nights in Bangkok!!! Thanks for all your enthusiasm and wonderful tips for great food!!! Thanks to you Mark for a great year and I’m looking forward to your adventures in 2018. Hello Mark. My husband and I are in our mid 60’s and early 70’s and love your very informative youtubes especially on Asia. We consider us to be sort of a cross between a backpacker and a flashpacker. Meaning we want our own clean room with our own bathroom usually in guest houses and hopefully in a local neighborhood. We have been travelling to Asia since 2009 and every time we go we have needed to spend longer. Up to three plus months now and wish we could stay longer. It’s hard to say what our favourite country is because he have something to learn from them all. Everytime we leave SEA we think we are ready to travel the rest of the world and think that our travels to SEA are at an end ask us a week later and we are already planning our next trip back to SEA. I would say we are hooked. We have been to Europe and absolutely loved it there and can’t wait to go back BUT once again I think we leave our hearts in SEA. Someday when we are old (LOL) we will do the easy, shorter trips to Europe but as long as we are healthy and active we will torture ourselves on the 13 hour flights from Vancouver, Canada because we know what lays ahead of us for the next three months. We have tried not to go back to the same places but there are a few that we can’t resist. Over the years we have made some very good friendships in Bali, so we keep going back and Penang is another place that feels like home. Due to your videos we are definitely more knowledgeable about the local cuisine and customs and it does come in handy. At times we really look like we know what we are doing! Thank you for sharing what you have learned and what I say to my husband, who is a little more conservative then I am, (use to be a lot more conservative LOL) It isn’t the destination it’s the journey. The best memories we have are when we had no idea what we were doing and where we were! Our next trip will include 6 weeks in India……..can’t wait. Thanks once again and safe travels to you and your family. Hello Mark, thank you so much for your marvellous videos, food reviews and etc. Keep it coming. My favourite video is on Thailand Jai Fai Michelin food. Happy New Year to you and your family. Hope you’ll have many more great trips in 2018. My favorite meal this year was eating Breton Galette in Rennes, France, with my girlfriend’s uncle and aunt. This was a very simple meal of ham and eggs encased in buckwheat pancakes with gruyere,, but it is not just about the taste of the food, but it’s the whole experience of enjoying a meal with the people you love. Thanks for your bringing all these fantastic foods to us and the excitement you bring with them. all the best in 2018 and look forward to the upcoming videos. Happy New Year to you and to your family..!!! Keep up the fantastic job you are doing ..!!! Happy New Year, May you have many more adventures and great foods to share. Thank you for a great 2017. Bless you and your family. Tell Ying she is a great assistant and should blog about traveling with Micha. Enjoying everything about your channel. Keep up the terrific work. Happy New Year Mark, Best Wishes and travel safe. First, on the occasion of the coming New Year 2018 (Year of the Dog), I would like to wish You, Ying, and Micah a whole year of health, happiness, luck, and prosperity. Second, and last, I MUST say I love your travel & food videos. They’re amazing for my at-home retirement entertainment. Thank you millions. Please keep posting these travel & food videos on Youtube and I’m always your supporter. Hey Mark, i really love all the food travel videos… Me and my sister are really addicted to it??????????? ?May this new year be a joyful ride for you and your family. Here’s wishing you best year ahead. Happy New Year! Happy New Year to you and yr beautiful family! May 2018 bring you more love, health and happiness! Thanks for such a wonderful blog ,we’re addicted! Btw, Congratulations on winning the Saveur.s People’s Choice ” Best food video”. You deserved it! Mark….wishing you, Ying, Micah and all your family a very happy new year. So looking forward to your coming adventures in 2018. Thank you for giving us, your followers, the opportunity to tag along. My wife and I are addicted to your channel every time we have the chance to watch Youtube. We traveled and lived in Bangkok occasionally but missed out of so many wonderful eating places that you introduced to the viewers. Thailand is such a wonderful country that blessed with great foods and people. We will definitely visit those restaurants you recommended in Bangkok next time we visit Thailand; perhaps we could meet up for even more great food. We wish you and your family much happiness and success in the New Year 2018! Cheers! HAPPY 2018, to you and Family. I really love your post, places and food of most wonderful countries, if by any chance I happen to be there will taste the food you recomended. I want to wish you, Ying and Micah the best in 2018 and Happy New Year. Loved you’re videos all year round and I am looking forward to more food, travel and apartment tours in the coming year. You are the best and I want to see more and more. God Bless you all. Happy New Year 2018 Mark and family, hope the big challenge for this 2018 food tour will be an awesome one, thank you for email me and may the 2018 bring happiness to you and your family…I really love your show, please post more video clip. happy new year, enjoy your posts, do more for 2018 postings. Hey Mark, love watching your videos especially Bangkok and Singapore, two of my favourite cities for food. Makes me hungry every time. Next time I’m in Bangkok, will definitely check out Nhong Rim Klong at Ekkamai. Wishing you and family a Happy, healthy and delicious 2018! Best! Happy, Healthy and Wealthy New Year to You and Your Beloved Family. It is wonderful to see you travel with your amazingly well behaved gentle child and your most capable wife. May agod bless You always. I really enjoyed ALL your travel experiences and all the Lcal Colorful delicious Foods of Thailand, The Philipines , Japan , Lombok ( I am used to know this food from one of the islands in Indonesia ..of course but with your illustrations and explanations made it way much more interesting ….the ayam taliwang for one becomes so special and so interestingly delicious ) BRAVO Mark ….all the 10 foods you have chosen (are so GOOD ! I know it should be so difficult and hard for you to choose 10 put of so many foods you have experienced during your travels in the whole yeR 2017 ! But you have made it into a beautiful colorful illustrative WHOLE …..PROFICIAT for a job perfectly done ! And to more Travels and more delicious Foods in the New Year 2018 ! CHEERS and THANKS for a Great Interesting Blog ! 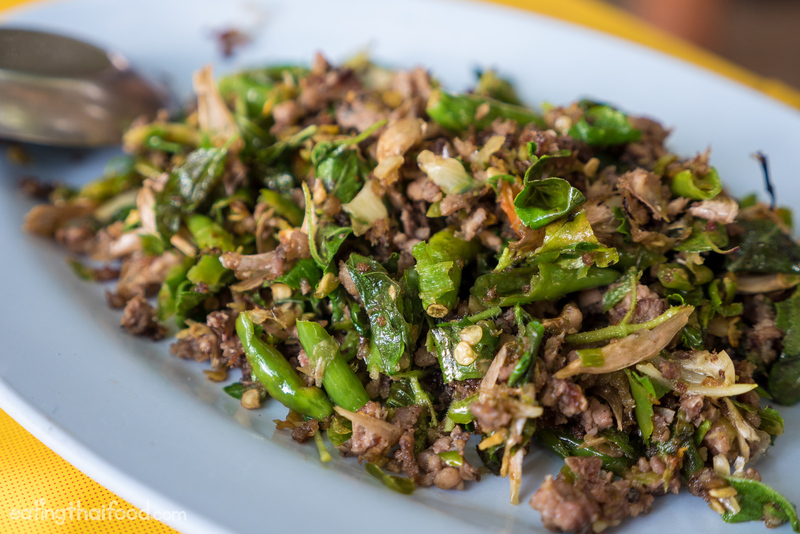 The best food of my year was a simple choice and a simple dish…gaprow moo korb when I returned to Bangkok after many years away. Fresh Holy Basil is a struggle to get In Scotland so I had been missing it a lot. A close second was an amazing Durian I got from the back of a pick up truck on Samsen Road! Third was the Lechon from Carcar City on Cebu,PH….aannd special mention to the Lebanese Restaurant that opened this year which is very close to my house. Superb Kebabs. Ive thoroughly enjoyed your channel this year and wish you and your family continued success and good health for the New Year and beyond. Dear Mark and family…….I hereby would like to wish you and your family a FANTASTIC, HAPPY AND A PROSPEROUS NEW YEAR……!!! I also want to thank you for the super blog’s you put in all your travels, which you send us throughout the year….!!! Give your baby a kissy from his aunty Peggy…. Loved this episode, especially the equipment segment. The drone really adds a lot to your vids. Can you see what it is seeing as you guide it? Of your picks, I think I enjoyed the Yunnan series the most. Very interesting culture, and the food looked amazing. Looking forward to more videos. My six year old girl and I enjoying watching them together, she even says “Wow” now when she eats something she likes. Happy new year Mark and family! You are a fantastic inspiration to me! Happy New Year Mark and family! I look forward to watching your videos. Just started watching for last two years. Love seeing that you always include Ying and Micah…watched him grow up on your videos. Keep blogging, traveling and introducing me to the wonderful foods around Asia. I was born in Laos and immigrated to the USA when I was 4 years old. Would love you to do a tour of Laos soon! Have a wonderful 2018???????????? Of your picks, I think I enjoyed the Yunnan series the most. Very interesting culture, and the food looked amazing. Looking forward to more videos. My six year old girl and I enjoying watching them together, she even says :Wow” now when she eats something she likes. Mark, can you please change my comment to correct Ying’s name? I’m trying to do it here but it won’t let me. LMK if you have to delete it and I send another comment. Thanks cuz. Hello Mark. It’s always a treat to watch your videos and to read about your food adventures. I am a huge fan of yours and I hope that 2018 brings more opportunities for people like me to continue to enjoy your blogs/vlogs. Stay safe and I wish you a very happy and prosperous new Year all the way from Salt Lake City! Excellent blog for authentic Thai and other foods! It is just like being in Bangkok, Thailand. Thank you for all the lovely recipes and HAPPY NEW YEAR to you and family. Funny I should get email from you today. Just this morning I watched best of 2017. Before I watched the Bhutan series as well. I now have soja this morning. Absolutely delicious! Happy new year to you, Ying and Micah as well. Mark please have a visit to Bangladesh. It’s not far from Bangkok. Besides this there are a lot to explore I gurantee you. Moreover January, February and March is the most appropriate time to travel in Bangladesh as the weather during this three months are very fantastic and moderate. So please Mark come to Bangladesh. Happy New Year Mark, Yung and Micah! Awesome to follow you! Happy New Year! Love your work Mark and watching your family grow. Great future successes in 2018. Happy New Year, Mark. I’ve really enjoyed reading your blog and watching your videos, particularly of Saigon, which I visited last month. I can recommend Split in Croatia – we visited in September and it is absolutely beautiful. Happy new year to you and your family. Thanks for a great blog!!!!! Happy New Year ???? I love watching all your videos ???? would love to keep in touch with u???? U,ying and Micah a very happy and healthy New Year 2018! Oh your post on the Tsukiji Fish Market reminds me of our trip there, it was fantastic – and blowing the budget on sushi for breakfast a similar experience. It counts as one of my favourite meals of all time! Hey Sarah, awesome to hear that, glad you enjoyed your time at Tsukiji fish market as well! Thank you Jatin, to you as well!